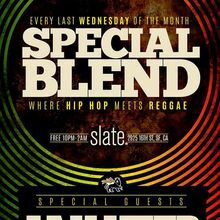 Every last Wednesday we present to you, "Special Blend" a night featuring the dopest of Hip Hop and Reggae. 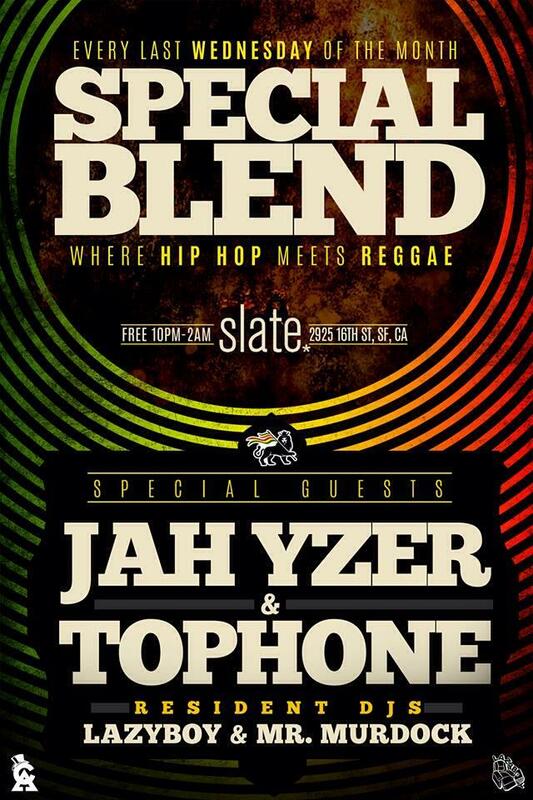 We're kicking this one off with two of the Bays' most classic DJs Tophone and Jah Yzer! This ish is gonna go bananas! Because we're hooking ya'll up for free on this one, early arrival is suggested. 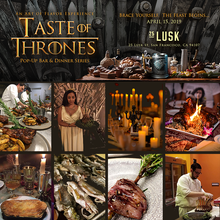 Resident Djs Mr. Murdock and LazyBoy will also be handling biz! 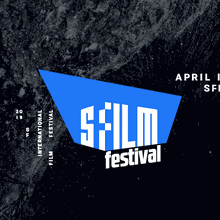 Movies "Belly" and "Harder they come" will be playing on the big screen.